Sometimes I’m so busy painting china cabinets, buffets and dressers I don’t have time to paint smaller inventory items. These pieces don’t bring a lot of profit but they’re important in helping to achieve a certain look in my booth space. I usually squirrel these pieces away in my office or inventory closet until an opportunity presents itself and I’m able to paint a group of smaller items all at once. 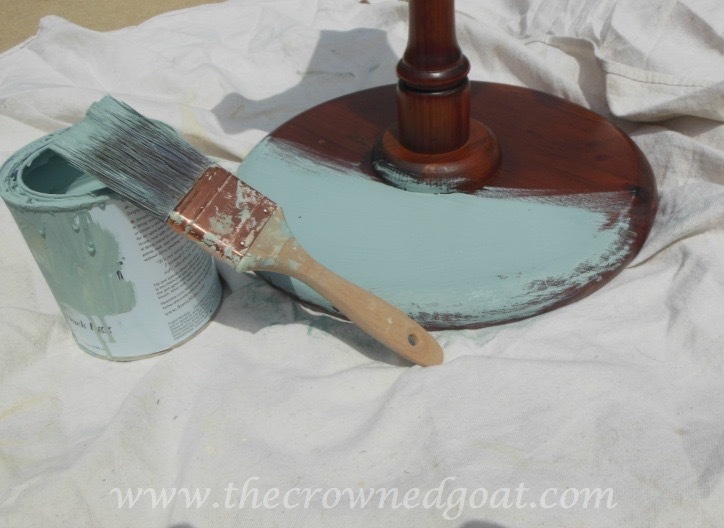 Painting this way can be a time saving tip to a vendor because you’re typically using the same brush and paint color. As we near a busy tourist season I’ve been trying to stock up on these smaller items in a customer color favorite Annie Sloan Chalk Paint in Duck Egg. Earlier this week, I gathered all of the smaller items that I wanted to paint using Duck Egg. 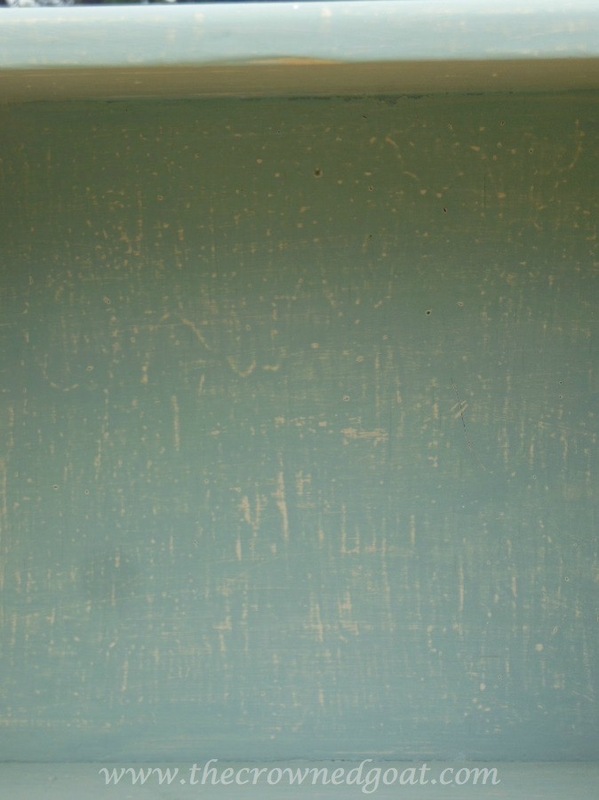 One thing to note here if you’re a vendor, you want to vary the shades of the single paint color you’re using. Your customers are smart and you don’t want your booth to look like you went out and bought one can of paint and then set about painting your entire new inventory in that one shade. Some of my favorite spaces are all white but the shades are so varied that it looks layered instead of single note. 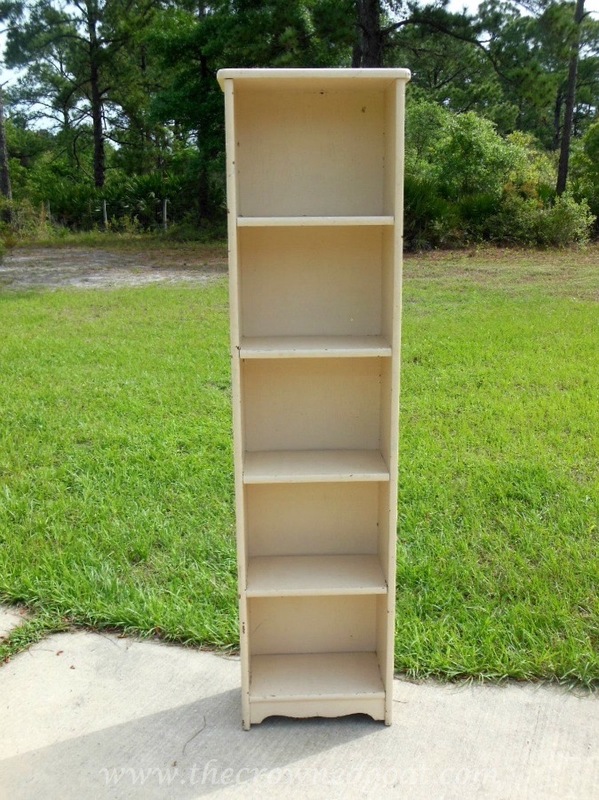 This bookcase is the perfect size for a bathroom or bedroom. 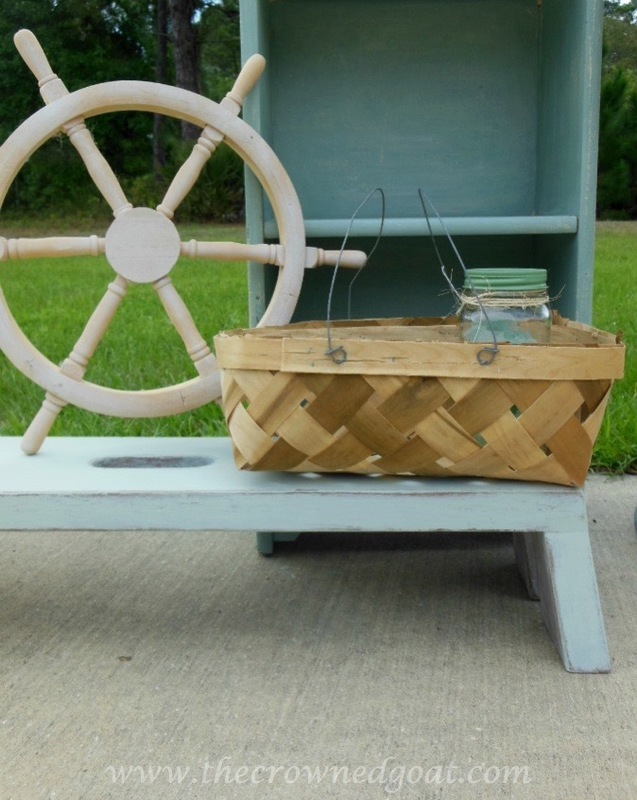 I bought this piece the same weekend I brought home the metal cabinet and the huge basket haul. 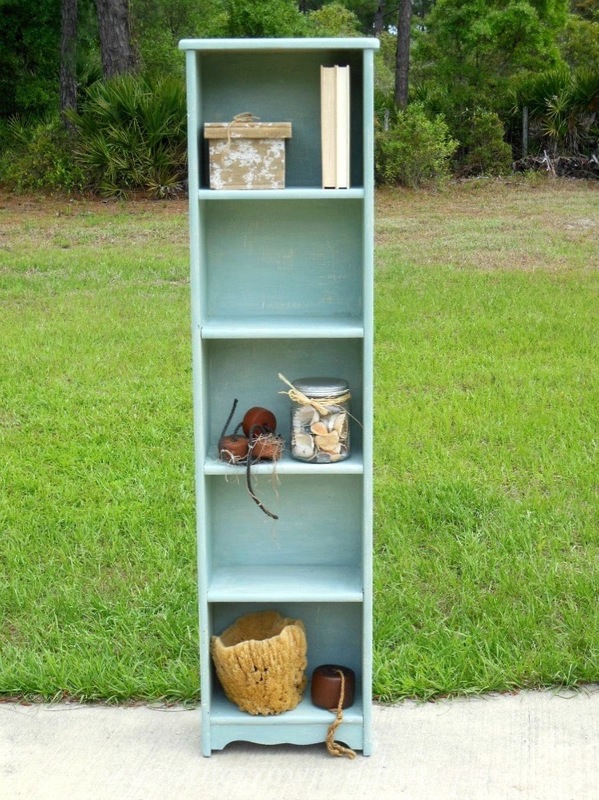 I painted the outside body of the bookcase straight out of the can Duck Egg. But I painted the inside of the bookcase with a Duck Egg wash so the chippiness of the paint would show through once it had been sanded and given a coat of white wax. 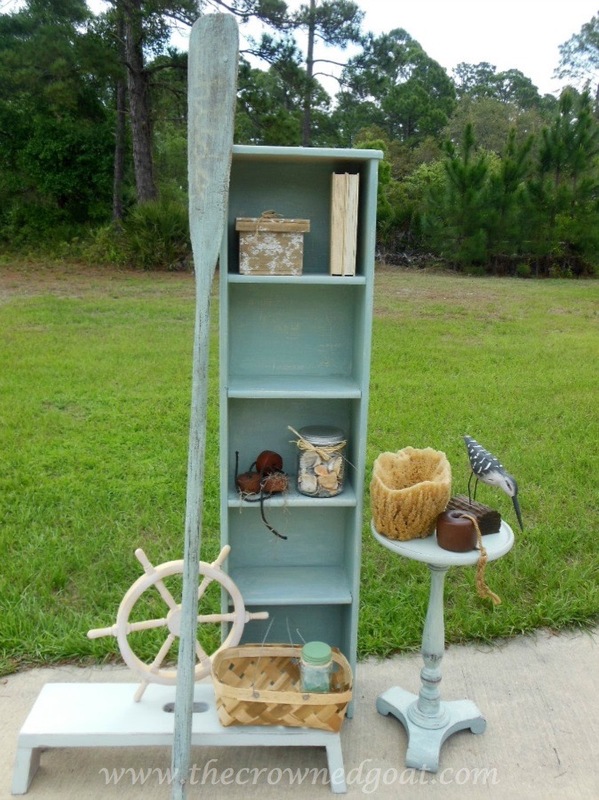 This coastal color lends itself perfectly to a bookcase styled with beachcomber favorites. 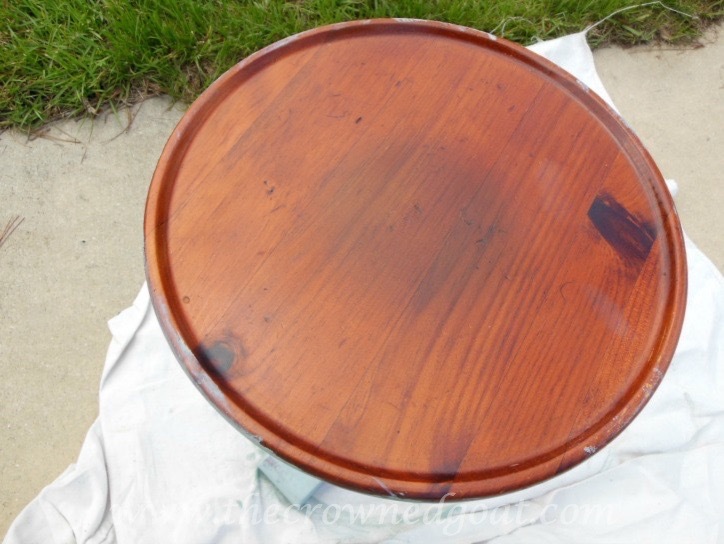 This small side table had a dated stain that was almost an orange color. When I have a small table like this or even a step stool, I paint the bottom first and then the top. This makes the top easier to handle and paint. It also makes it less likely to knick the top or have finger prints on the base because the base has already had a chance to dry. To make this table a different shade of Duck Egg, I dry brushed a bit of Pure White on the base of the table prior to sanding and waxing. 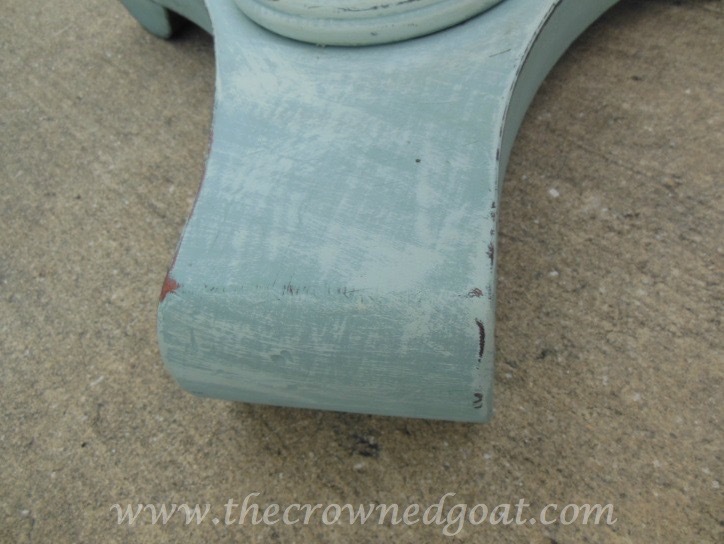 I had originally painted this footstool with a white wash but when it didn’t sell after a few months, I decided to bring it home and paint it a lighter shade of Duck Egg that I custom mixed. I’m planning to put it in the booth sometime next week so we’ll see how it goes. I found this oar almost a year ago. Someone painted the word Child’s on it. I’m guessing that must have been the family’s last name. 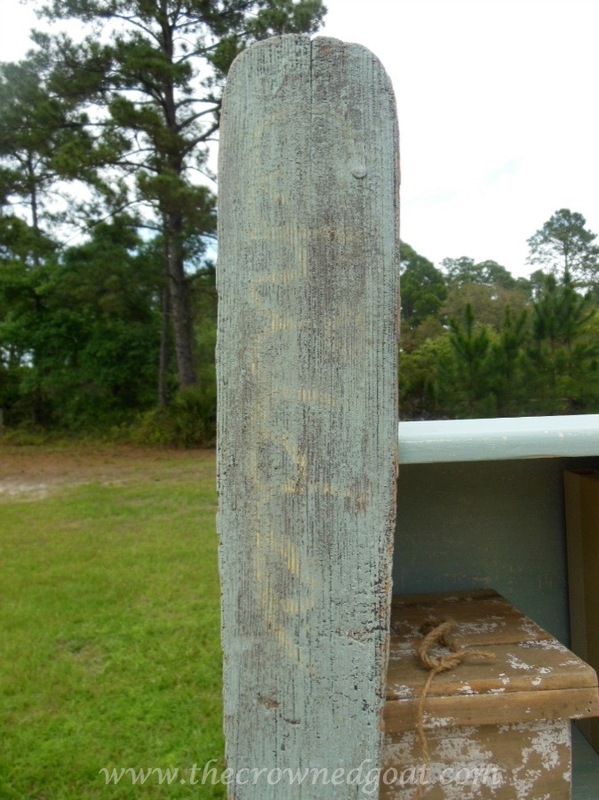 It’s weathered to perfection and I think the customers will like it too. I know it can be challenging to balance painting both small and large items when inventory is selling quickly. Having a booth space has been a constant process of trial and error. I’m getting so much better at holding onto the things that are working and letting go of the parts that are not. I hope these tips will help you too. Hey CoCo…As booth vendors ourselves, we so appreciate your tips. Your booth is always beautiful and has a polished, curated look. Thank you so much for your insight!